Water production around NEW Paradigm Black Holes. The first evidence that (new paradigm) black holes produce water!! This is in line with the Q-FFF theory-hypothesis that Comets are equipped with a micro black hole nucleus as the origin of the Cometary Ice shell and x-ray radiation. Quantum FFF theory predict that at the BH horizon Hydrogen will be produced, by the head-on collision of the oscillating massless Higgs-Vacuum particles as the origin of all the mass in the universe, contrary to mainstream Big bang theory..
ScienceDaily (July 22, 2011) — Water really is everywhere. A team of astronomers have found the largest and farthest reservoir of water ever detected in the universe -- discovered in the central regions of a distant quasar. 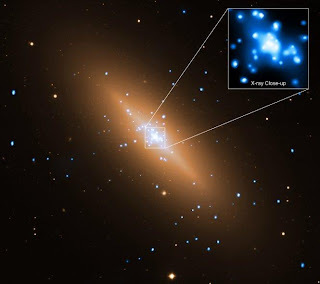 Quasars contain massive black holes that are steadily consuming a surrounding disk of gas and dust; as it eats, the quasar spews out huge amounts of energy. The energy from this particular quasar was released some 12 billion years ago, only 1.6 billion years after the Big Bang and long before most of the stars in the disk of our Milky Way galaxy began forming. Observing Saturn, Herschel has detected evidence of water molecules in a huge torus surrounding the planet and centred on the orbit of its small moon, Enceladus. 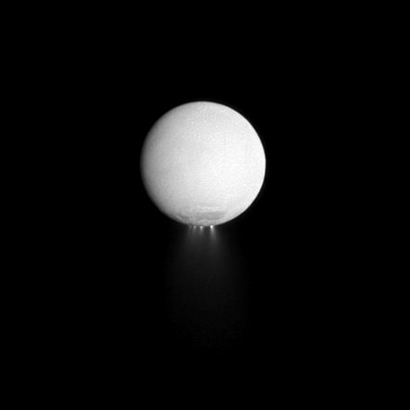 The water plumes on Enceladus, which were detected by the Cassini-Huygens mission, inject the water into the torus and part of it eventually precipitates into Saturn's atmosphere. 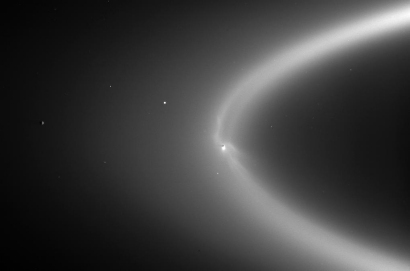 The new study has identified Enceladus as the primary water supply to Saturn's upper atmosphere; this is the first example in the Solar System of a moon directly influencing the atmosphere of its host planet. Interestingly, active eruptions on moons are observed until now at Enceladus, Io, Jupiter’s moon and Triton, a moon of Neptune. Even our own moon seem to have some volcanic activity. Unique Volcanic Complex Discovered On Moon's Far Side. In line with Quantum-FFF Theory, this is reason to assume that NEW PARADIGM micro black holes of different sizes could be responsible for these activities, just as is proposed for Sunspots, Comets micro, Comets on earth and Ball lightning. It is proposed that the micro black hole nuclei of former comets are responsible for this volcanic activity inside planets and moons. Just in line what Quantum FFF theory predicts, is now observed by Chandra: the flow of gas into the centre of a galaxy!! Which according to Q-FFF Theory doesn’t harbour a giant Black hole, but instead is the place for a so coined White or Grey hole! This is the central place between two or even more Giant Galaxy anchor Black holes, located outside the Galaxy. Cygnus A quasar, is here the clearest example. Chandra X-Ray Observatory Images Gas Flowing Toward Black Hole. Universal Matter over Anti-Matter related to the observed predominant spin of Galaxies and the chirality of the vacuum lattice. There are TWO recent articles which present solutions for the Matter over Anti-Matter inside the universe and the predominant spin of Galaxies found to be present in the North direction of the Milky way. A University of Warwick physicist has produced a galaxy-sized solution that explains one of the outstanding puzzles of particle physics, while leaving the door open to the related conundrum of why different amounts of matter and antimatter seem to have survived the birth of our Universe. However, According to Quantum FFF theory, it is NOT the Galaxy spin, But the CHIRALITY of the VACUUM LATTICE STRUCTURE ITSELF, THAT SHOULD BE THE ORIGIN OF GALAXY SPIN AND ALSO MATTER OVER ANTI-MATTER IN OUR UNIVERSE! "Construction Principles for Chiral "atoms of Spacetime Geometry". 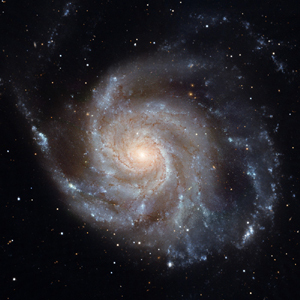 The researchers found evidence that galaxies tend to rotate in a preferred direction. 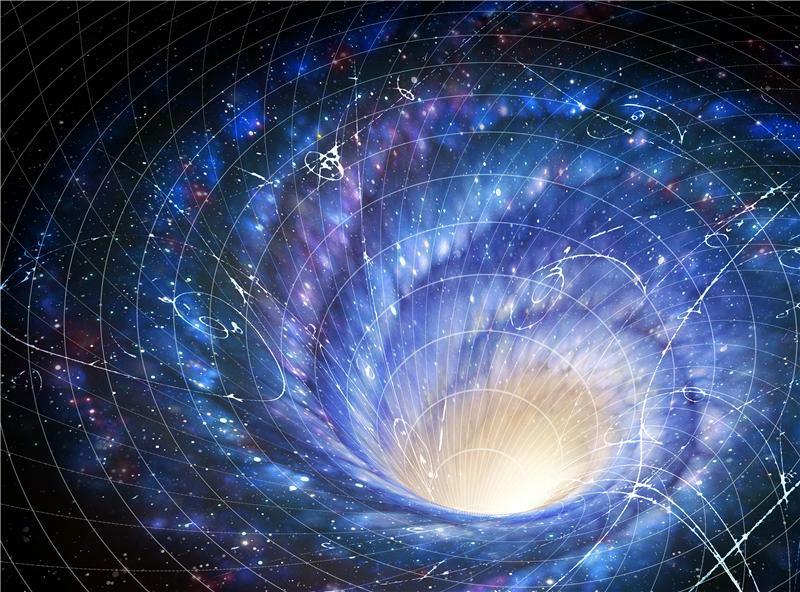 They uncovered an excess of left-handed, or counter-clockwise rotating, spirals in the part of the sky toward the north pole of the Milky Way. The effect extended beyond 600 million light years away. 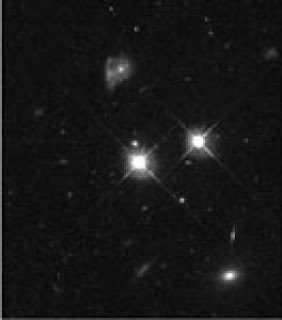 However, these Counter Clockwise rotating Galaxies are observed ONLY toward the north pole of the milky Way!!!! SO according to Quantum FFF Theory, with respect to the Chiral vacuum lattice as the origin of this phenomenon, toward the South pole of the Galaxy the main rotation will be opposite CLOCKWISE!! FUTURE observations should produce more evidence.